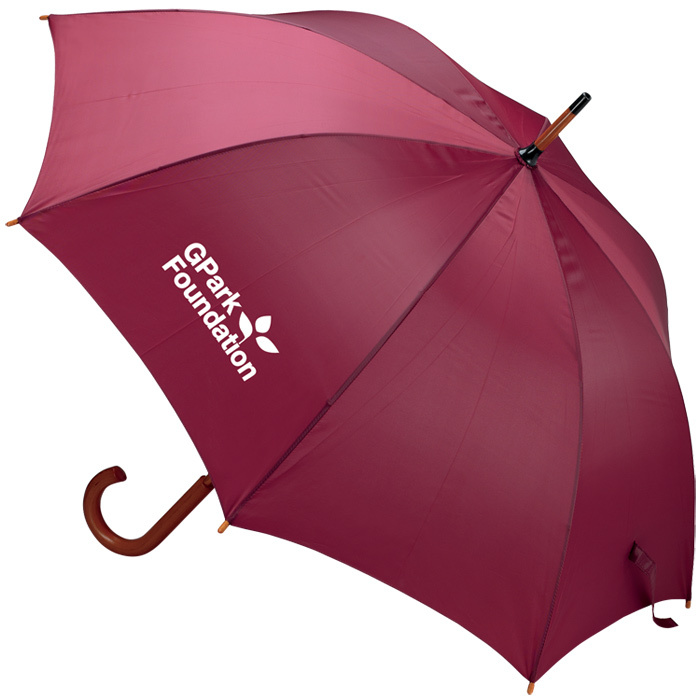 Automatic umbrella in a choice of corporate colours, each with a dark wooden handle – all at an amazing price! Great print area for your branding, so when it rains your logo will shine! Price includes a 1 colour print in 1 position, to 1 panel. Dimensions: 1060mm diameter x 890mm. Print area: 200 x 150mm.